Definitely my fave trend for this Fall is the scarf printed dress. This trend inspired by Versace is taking the Fashion world by storm. Many celebrities has adopted the trend, the last one being Jlo during the MTV VMAs. She and her entire crew wore outfits inspired on this trend. I found this beautiful dress at Zara and I fell completely in love with it. 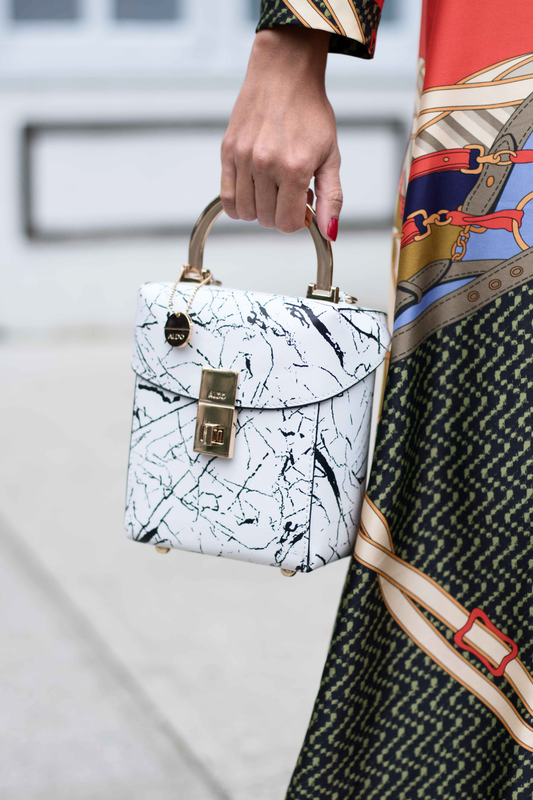 For NYFW, I styled it with white shoes and a beautiful tiny white bag from Aldo. Definitivamente mi tendencia favorita para este Otoño son los vestidos con prints de pañoleta. Esta tendencia inspirada en Versace esta enloqueciendo al mundo de la moda. Se la he visto a muchas celebridades, la ultima fue JLo durante su show de los MTV VMAs. No solamente lo llevo ella sino que visito a todos sus bailarines con trajes inspirados de esta tendencia.